At the Mobile World Congress in Barcelona, Sony’s rumored “Sirius” phone became a reality, with its official name being the Xperia Z2. The handset in question is Sony’s upcoming top-tier device, aimed at competing with whatever the high-end market will throw at it. This includes the Samsung Galaxy S5, HTC One’s upcoming successor and the LG G Pro 2. Needless to say, with the Z2 officially announced, it’s now the time to take a look at what this handset has in store for Sony enthusiasts. Do you consider yourself to be one? Then by all means, check out our Sony Xperia Z2 overview below. The Z2 packs a 5.2-inch IPS LCD screen with a resolution of 1080 x 1920. This results in a high pixel density of 424 pixels per inch, and as expected, the handset boasts the X-Reality Engine and a Triluminos display. Sony has also implemented a new technology called “Live Color LED.” With all these features working together, the smartphone’s display promises greatly improved viewing angles (something that previous models suffered from). Under those 5.2 inches of pixels resides a Qualcomm MSM8974AB Snapdragon 801 quad-core processor, clocked at a frequency of 2.3 GHz. There’s an Adreno 330 GPU handling the graphics, and much like the most recent top-tier handsets out there, the Z2 also packs 3 GB of RAM, making multitasking feel like a breeze. In the storage department, the gadget comes with 16 GB of internal memory, which can be expanded by up to an additional 64 GB through a microSD card. The device draws its energy from a 3,200 mAh battery, and the internals are protected by an IP58 certification, which makes the handset dust and water resistant. On the software side, Sony’s finest will arrive with Android 4.4.2 KitKat pre-loaded, but the vanilla UI is being replaced by the manufacturer’s proprietary user interface, as usual. We’ve all heard the phrase “if it ain’t broke, don’t fix it,” and with Xperia Z2′s design, that seems to be the case. The gadget’s looks are slightly updated when compared with the Xperia Z1, but the overall shape and design language remain pretty much the same. More so, the Z2 will be offered in black, white and purple – much like its predecessor. If that’s not enough for you, then fret not. Apparently, Sony intends on launching a multitude of colorful cases for the Z2, with various form factors, styles and built from different materials. Sony has partnered up with Elecom, Ksix, Zenus and other accessory manufacturers in order to make this a reality. Most of these cases have been already caught on camera during the Mobile World Congress, and I’m sure there’s something interesting out there for everyone. Lastly, we should also point out that the Xperia Z2 is a rather large device, especially for a smartphone that packs a 5.2 inch display. Measuring 146.8 x 73.3 x 8.2 mm, the handset almost falls in the “phablet” category, despite the fact that the screen’s diagonal isn’t actually out of this world. The smartphone also weighs 163 grams, which makes it 33 grams heavier than the Samsung Galaxy S4. Much like the Xperia Z1 before it (as well as the Z1s and the Z1 Compact), the Z2 boasts a 20.7 MP Eximor RS camera with a 1/2.3 sensor and 1.1 micron pixels. The unit makes use of Sony’s G Lens, and thanks to loads of RAM and the new Snapdragon 801 CPU, the camera is able to snap photos faster than ever. Sony added a few extra options as well, including Background defocus which enables the camera to capture two simultaneous shots at different focus levels. The software then blends the two images, resulting in a DoF effect. The camera can capture 4K videos; 120fps videos and also features timeshift and slow-motion capture. There are plenty of effects that can be added through the camera software, including augmented reality elements, image trails, motion blur effects and the lot. Last but not least, the device allows the user to record short Vine clips directly from the camera UI. You may also recall that the first leaked images with the “Sirius” revealed a pair of stereo speakers on the front panel. Good news is: they’re there, and the Z2 does indeed feature stereo speakers, as well as an S-Force Front Surround amplifier. More so, the handset’s audio quality is further improved through digital noise-cancelling while using the Sony MDR NC31EM headset. After the Xperia Z2 was made official, it didn’t take long for Sony to announce the handset’s expected prices across Europe. As usual, the price tag will vary from one region to another, and the lowest retail price appears to be set in Germany, where the handset will be available at 599 EUR, or $822. In Netherlands the Z2 will be retailed for 649 EUR ($891), and in Sweden you’ll be able to pick one up for 667 EUR / 5995 SEK ($917). Prospective customers residing in Spain, France and Italy will have to pay a bit extra for the Z2, as the gadget will set them back 699 EUR, or $960. In the UK, the device will cost £599. The smartphone is currently available for pre-order in all the aforementioned countries, and is expected to be shipped sometime in March. Unfortunately, there are no details on when, and at what price the Z2 could hit the U.S. market. We’re guessing that the Z2 will not be as widely launched in the States, but some carriers might eventually pick it up. All in all, the Sony Xperia Z2 is a pretty powerful device and feels like it offers enough reasons to get Sony enthusiasts interested. It is rather pricey though, at least in some regions, and it’s also a bit too large, mainly due to Sony’s odd choice of making the top and bottom bezels so thick. 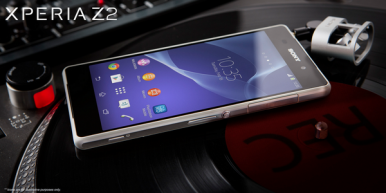 In any case, we’d like to know what your take is on the Z2. Is it a worthy Z1 successor? Would you be interested in adopting one at launch? Don’t hesitate to share your opinions below. The popular S4 successor goes head to head with the latest iteration of Sony’s waterproof Xperia.